Howie Long has been to numerous Super Bowls – winning Super Bowl XVIII with the Raiders and broadcasting from many more in his role with the NFL on FOX. 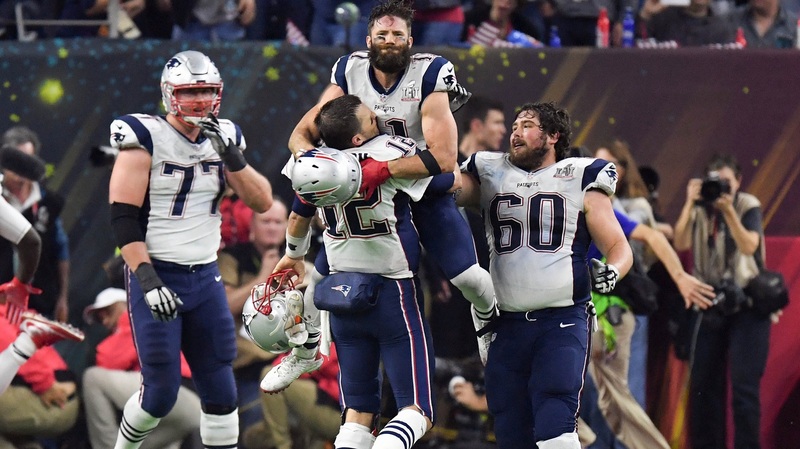 But this year’s game brought a unique experience for the Long family, as Howie got to watch his son Chris win his own ring in the Patriots’ incredible 34-28 overtime win. “If you’ve followed my history with my boys, I try to be in the background,” Howie Long told FOX Sports earlier this week. “Now, at the Super Bowl, it certainly ends up being about a dad covering his son playing in the Super Bowl, which is an extraordinary moment for us. And I’m not quite sure how I’ll react to it. “As a player, you’re nervous, you’re anxious, you’re excited, and then you get hit and it’s football,” Long continued of his emotions going into the game. “Unfortunately, as a broadcaster and just a dad on the sideline, I don’t get hit so the nerves don’t go away. From the looks of it, the celebration was even more special than either Long anticipated.